Curly haired girls often ask the best way to style their hair. While it can vary based upon the type, the basic tenements of curl care are all very similar. 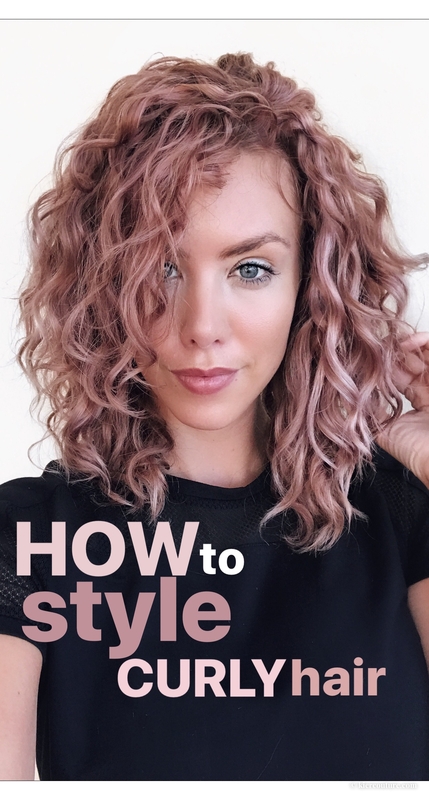 Kier from Kier Couture shares her tips and tricks for understanding how to successful style curls. Check it out and let us know what you think. This is what to know about styling curls. First and foremost, Kier reminds us not to have over the top expectations of our curls. For example, if you wear your hair straight, it could take some time for curls to regain the natural shape. If your routine doesn't work right away, don't give up on it immediately. Stay the course, in keep working on the routine to see well shaped ringlets within a week or two. Before getting in the shower, Kier detangles her curls using a wide toothed comb or her fingers. Notice she doesn't rip or tear at her strands. Kier uses the DevaCurl No Poo, which is a non lathering, but ultra moisturizing shampoo. It removes build up without stripping curls. She uses her nails to gently scrub at her scalp. Allow curls to become completely wet and then “pull” the shampoo throughout the curls. Follow with the DevaCurl One Conditioner, which is very silky and moisturizing. Give the conditioner 5-10 minutes to soak in while finishing up in the shower. Rinse without removing all the product to allow the conditioner to double as a styling cream. While curls are sopping wet, flip hair upside down. This is when Kier adds product to her curls to help minimize frizz. Add a small amount of conditioner and then follow with the DevaCurl styling cream. Scrunch each product into curls. Don't comb the product through the curls to avoid breaking up the clumps. After the product is applied, grab a microfiber towel to scrunch curls. Try to avoid over scrunching and drying curls, as each time the towel touches your head it increases the chance for frizz. Once the excess moisture is removed, grab your hair dryer with the diffuser. Plan on being here for awhile, as it takes some time to completely dry curls. Dry your hair from the side, working your way over to avoid separating curls and to create volume. Try to avoid touching curls until completely dry. Once it's about 80% dried, you might notice some styling cream or gel in order to manage any frizzy ends that need management. Use a clean and dry towel to gently remove any excess product by scrunching. You can fluff curls gently to create volume, and then focus on adding to the ends for smoothing it out.